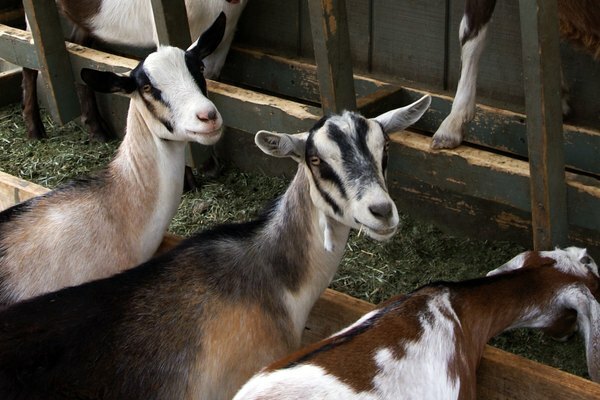 Whether you own one goat or 30 goats, you will need to consider milking if you plan on breeding your goats. Being aware of factors affecting how often you need to milk your goat will help you choose the goat breed and milking style that provides you with an adequate supply of fresh goat milk for your needs. Milking a goat begins shortly after your bred doe (adult female goat) gives birth, an event also known as kidding. During the first three to seven days after kidding, you usually won’t need to milk your goat at all, since she only produces colostrum, a thick, yellowish fluid that contains important nutrients and antibodies for her kids. If you bottle feed the kids, once her milk comes in, milk your goat two times each day throughout her entire lactation, spacing milking sessions about 12 hours apart. This interval stimulates your doe to produce a good supply of milk without allowing her udder to get too full. If you choose to dam raise the kids, FiascoFarm.com suggests that you separate the kids from their mother at night when they’re about two weeks old. That allows you to milk your goat only once a day (in the morning). Your milk goat will produce milk for a lactation cycle, which is typically the 10 months following kidding. The length of the lactation cycle itself and the amount of milk your doe produces in a given cycle depend on various factors, including her age, health, breed and nutrition. 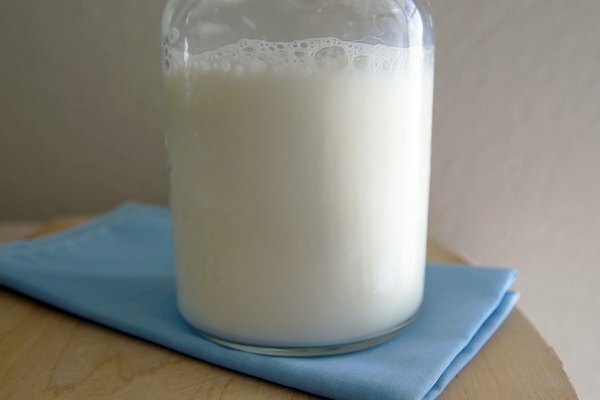 For instance, Carol Ekarius, author of "Milk that Goat: Dairying 101" in “Goats” magazine, states that a low producer may only produce about two quarts of milk each day for a period of six months, whereas a high producer could give you as much as four quarts per day for a solid 10 months. When you choose to dry your doe off, which typically occurs at least two months before she is due to kid again, decrease the number of milking sessions gradually, over a period of two to three weeks, making sure that her udder is not too full in between milking sessions. Within two to four weeks, her production should decrease to the point that you should be able to stop milking her completely. Your goat produces milk to care for her babies. Meat goat breeds, such as the Boer, are bred to produce just enough milk for the kids, whereas dairy goat breeds, including the Nubian, Saanen, Alpine, LaMancha and Toggenburg, are bred to produce more milk than their young need. If your goat is a meat goat, you should not have to milk her at all. If you own a dairy goat, you will need to milk her daily in order to keep her udder from getting too full. If your goat is a cross between a meat breed and a dairy breed, you can milk her daily, but she will most likely not produce the same amount of milk that a purebred dairy doe is capable of producing. “Goats” magazine; Milk that Goat: Dairying 101; Carol Ekarius. February 2009.